I was recently in the market for a 10-gang extension lead, and between all the dubious offerings I figured I would go for a Pro Elec branded item. “Surely Farnell/CPC must have some sort of interest in ensuring their own-brand goods are of acceptable quality”, I thought. Well, turns out I was wrong. No time to fit the wire in the slot! 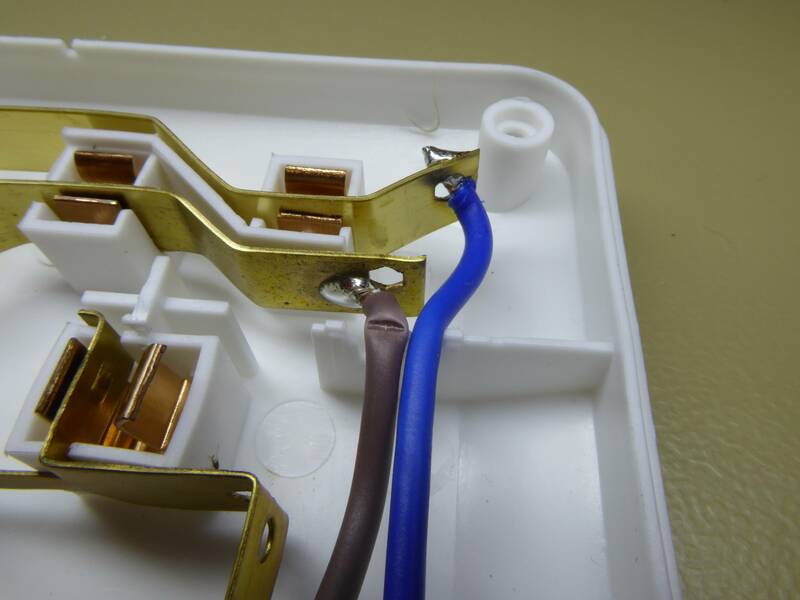 One of the wires was quite badly crushed, because it was not located in its slot. Instead, it sat on top of the plastic rib, where it was met by the matching rib of the other half of the case. I think happened here is that for some reason the wire wasn't soldered to the hole in the brass bar, but was instead soldered on the surface of the bar (compare with the blue wire). This probably made the wire stick out too far to the right, so that it couldn't fit into the slot any more. Also distributed throughout the case were several dozen little strands of copper, which must have come off when the wires were stripped. 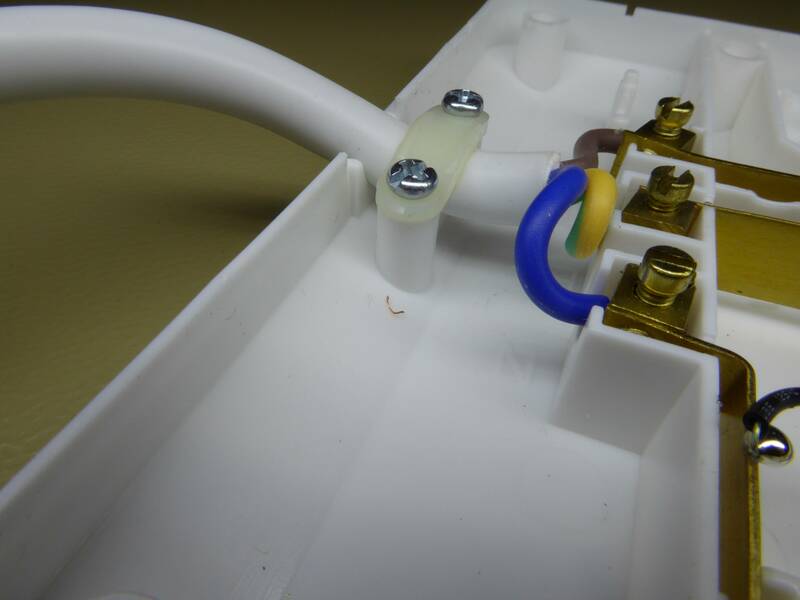 One major problem is that it's obviously not great to have loose pieces of conductors inside an extension lead. Another issue is the existence of the strands in the first place: When a wire is stripped properly, all of its conductor strands should remain intact - otherwise, the cross-section of the conductor is reduced, which in turn reduces the load capacity, which in the worst case may lead to unexpected bonfires. Since the rest of the construction of the lead was reasonable, I chose to fix it: Replace the damaged wire, re-wire the incoming flex (due to the potential damage from stripping), and clean out all the little bits of copper. Probably not exactly a good investment, but at least now I can trust the extension lead to a certain degree.